The gateway to Paradise Valley, Livingston, Montana is an oasis off the beaten path. With easy access to the Yellowstone River, fly fishing and rafting adventures await you on your next vacation. This quaint western town also offers a variety of dining and shopping experiences from locally raised food to eclectic souvenir shops. Mere miles from Yellowstone National Park, plan a day trip from Livingston to explore one our countries most awesome natural wonders! 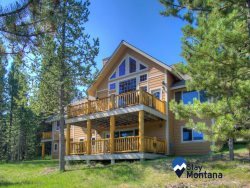 If you are interested in visiting the Livingston area of Montana, we have what you need all in one place. Browse our resources below to start planning your Montana dream vacation. If you need additional assistance please contact our office we are happy to assist you. Livingston has warmer winters than most of the state however the temperature feels a lot colder because Livingston is also one of the windiest places in the United States! So, pack your scarf! If you are a fisherperson, or simply love being on the water, summer is a great time to visit Paradise Valley and Livingston. With the snowmelt already complete, area rivers and streams are flowing comfortably for safe play! The shoulder seasons are also a superb time to enjoy area waterways but are even better for land activities, like hiking and biking. No matter when you come you are sure to experience few crowds and truly hospitable locals. There are many options when traveling to Livingston. From regional airports to ground transportation, you'll get exactly where you need to go. If you need assistance arranging transportation be sure to contact our office for guidance. There are over 15 direct flights to Bozeman Yellowstone International Airport. Carriers include Delta, American Airlines, Alaska, United/United Express, Frontier Airlines and Allegiant Airlines. If you are considering driving be sure you have your vacation rentals exact address, contact us for more information. Or come visit us at the office, we can't wait to meet you! Rental car services are recommended for travel to this location. Below find our most frequently asked questions about Livingston. Find more information on surrounding areas here.